Do you do crafts with the kiddos on Christmas break? We love crafting kits for them because it keeps them busy and entertained. You know what it's like to hear a kid say "I'm bored", 5,000 times in one conversation. We'll be having none of that this year!! The Original Super Cool Slime by Kangaroo Manufacturing will keep them busy for hours! The Original Super Slime Kit so awesome because it comes with all of the stuff needed to get going. I don't have to get any of the supplies or anything from the school supply cabinet. The 18 piece Slime Lab that includes everything to create The Original Super Cool Slime at home. 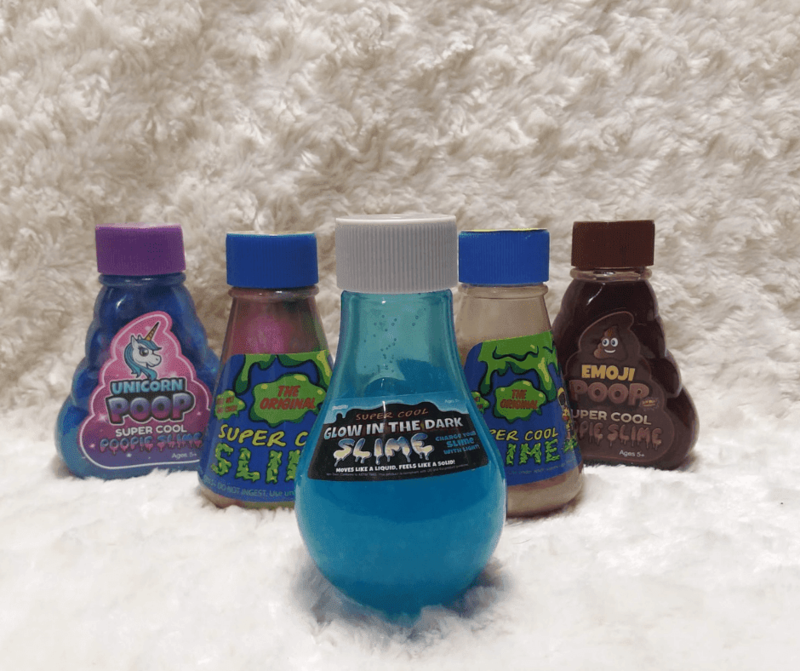 The Original Super Cool Slime is available in premade bottles too. Each individual slime comes in a 4-inch chemistry beaker style bottle. These are so cute! These are a great gift idea for any kiddo interested in science or slime. It's so awesome when toys/activities fall into one or more category, bridging the gap. 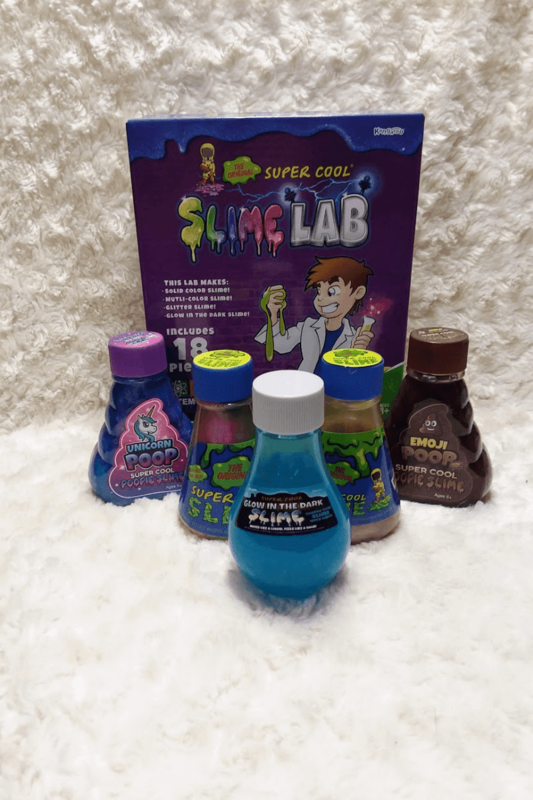 The individual slime is recommended for ages 5+ and the Slime Lab is recommended for kids age 8+. I will add on a positive note, all kids are different, my 6-year-old niece and nephew play with the slime kit and are very successful. That's with adult supervision. There are chemicals in the kit to make the slime so use it responsibly. Look for these kid-pleasing presents online and at craft, party, and specialty stores including TJ Max, Marshalls, HomeGoods, AC Moore, Party City, Learning Express and Hobby Lobby shops nationwide. They are also available online on Amazon. I love Amazon with their free 2-day shipping, you can get each of these in a three pack and even save money on a few of them! I want to say a huge thank you to Kangaroo Manufacturing for participating in our Holiday Gift Guide and our Sneaky Santa Mission this year. I received these products for free to facilitate this review. If you have any questions about this product please feel free to email us directly.